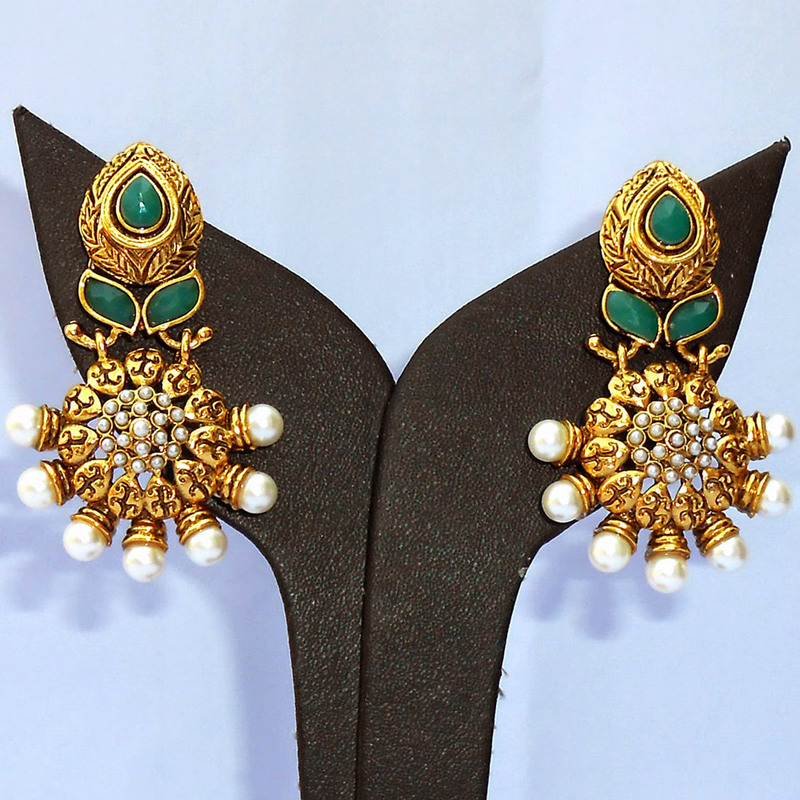 The green gem studded earrings pair can be an excellent choice for all those women who are fond of earrings studded with colorful gems. A Read More..teardrop shaped green gem adorns the stub on this piece and contains delicate work on the gold plated brass body encasing it. An intricate pattern crafted in brass hangs from the stub, and has smaller pearly white beads at the center while larger beads adorn its lower periphery. The delicate work on this pair of earrings is bound to find appeal among all the lovers of quality jewelry items. Show Less..